Saying goodbye to life on land in exchange for a few days at sea sounds glamourous, until you quickly discover you are susceptible to seasickness and are forced to spend most of the time below deck curled up into the fetal position praying for it all to be over. Motion sickness (on land) and sea sickness (on, well, sea) are the same thing. It happens when your body’s central nervous system receives conflicting messages from your inner ear and your eyes. For instance, when you’re in your cabin not looking out the window, your inner ear senses movement but your eyes see a static view. This mixup often causes nausea and vomiting, and can ruin your time at sea quicker than it takes the gangway to flip down. But fear not, fellow sea dogs, we have a few ways to help you fight sea sickness so you can enjoy your time cruising the blue velvet. Focusing your eyes on the forward horizon helps reorient your inner sense of balance and tells your mind that you are in fact in motion. 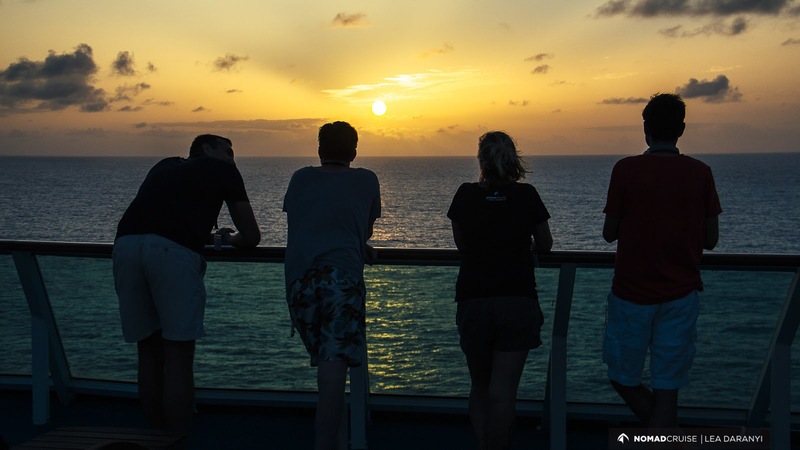 Head up to the deck to get a clear view, the fresh air also helps. Doing this helps eliminate some confusion between your eyes and inner ear, especially when it’s dark and you can’t see the horizon. Not like we need more motivation to head on down to Nap City, amiright? Chewing gum or any chewy foods help ease the conflict between your vision and balance which cause the associated symptoms of seasickness. So snack often. Ginger has been shown to help a lot, so get yourself a stick of ginger and go wild. Like we need anymore motivation to eat. We hope these tips help prevent you from spewing the contents of last night’s buffet on the lounge deck. But as the saying goes, ‘a smooth sea never made a skilled sailor’. Goodluck! *Please be sure to have a doctor prescribe the right medication for you. 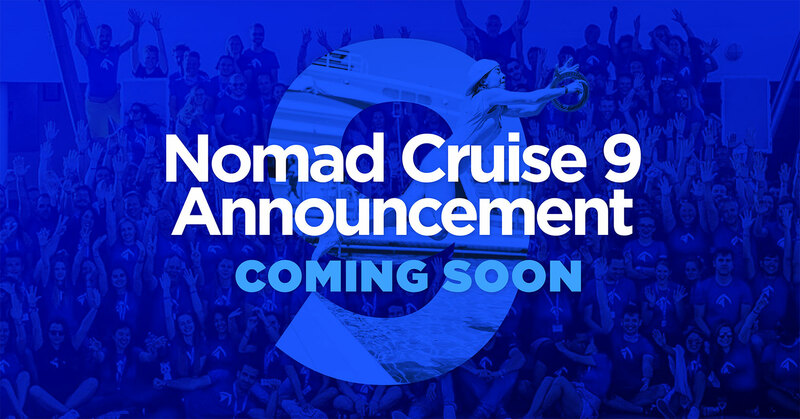 Nomad Cruise cannot and will not suggest a medication type.